The minute you turn off Zierdt Road onto Edgewater Drive you notice something unique and special about this community. To your left is the vast 120-acre Lady Ann Lake. 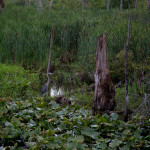 Surrounding this lake you will see life at it’s best. The ~2.8 mile jogging trail that winds around lake is also often a place to find residents casting a fishing pole or two. This community boasts healthy living at it’s finest. 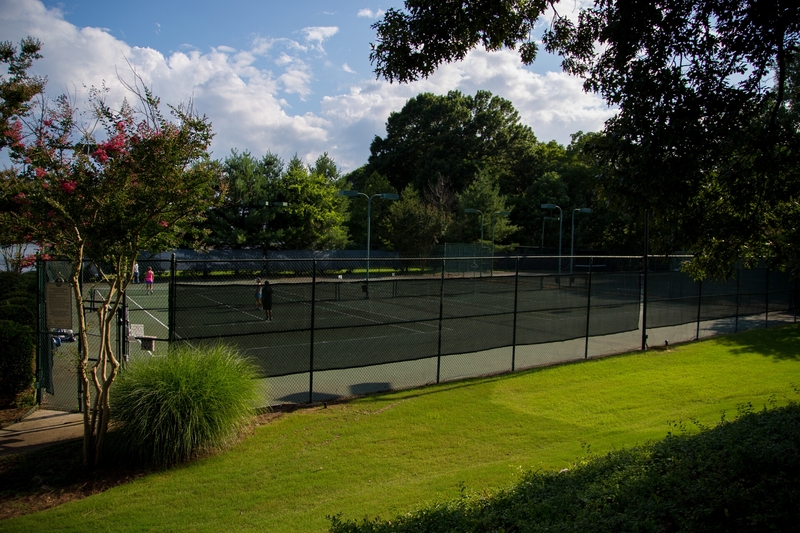 Whether you enjoy jogging or biking, tennis playing, swimming or exercising in the workout room located in the beautiful clubhouse that overlooks Lady Ann Lake. You know you have just driven into a special Neighborhood called Edgewater. 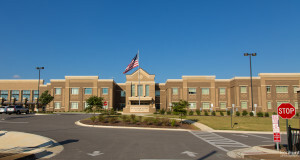 Edgewater is conveniently located off of Zierdt Road, within minutes of Redstone Arsenal, Research Park, Bridge Street Town Center, Huntsville Airport and Interstate 565. 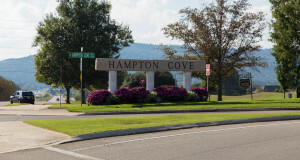 This community has homes within both Madison City and Huntsville City limits. 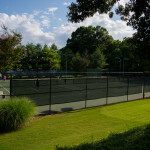 It’s just a couple of miles to Publix and many other convenient places to eat and shop. Edgewater is a Neighborhood composed of 11 diverse subdivisions, making Edgewater unique in that its homes can literally accommodate any imaginable taste and lifestyle. 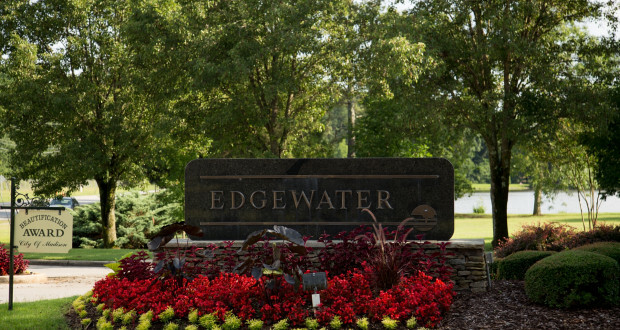 Edgewater offers luxurious waterfront acreage as well as low-maintenance stylish townhomes and apartments. When you first enter this beautiful community, immediately to your right you will find Edgewater’s newest community, Carriage Hill, established in 2005. There are 41 single family home sites with available lots for new construction. 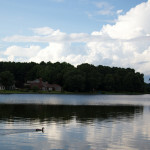 This subdivision features alley access to most homes, abundant front porches and stunning views of Lady Ann Lake. Continuing down just a bit you will notice Steeplechase West which was one of the first developments in Edgewater. If you’re looking for a townhome community with mostly two story and back alley homes, look no further. Steeplechse West is directly across the street from the clubhouse. 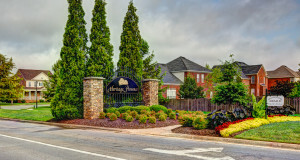 As you travel down the main entrance of Edgewater you will next come to Heritage Woods which was one of the first neighborhoods in Edgewater. 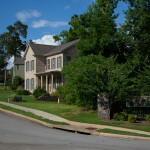 Heritage Woods has approximately 120 homes . 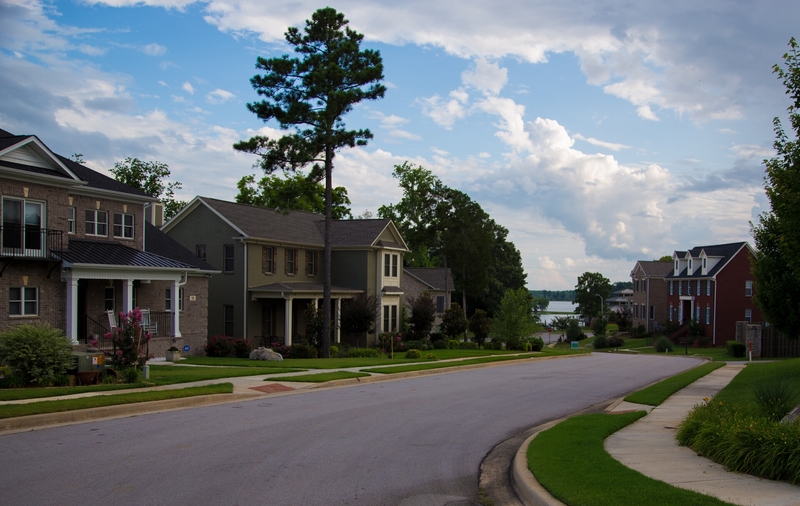 This neighborhood is great for the biker and walker or runner with it’s rolling hills and winding streets , with manicured lawns and mature trees. 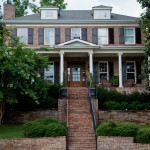 Heritage Wood’s is southern charm at it’s best. If you want a home with lake view look no further than Lake Shore which is the oldest in Edgewater but still graceful and beautifully maintained. 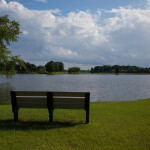 You will notice many of the homes in this Community are on Lady Ann Lake with wide shorelines. Just grab a line and hook it up and go out your back yard to see how many you can catch. And the view is not too shabby….how serene and beautiful to see the sunrise across Lady Ann Lake. 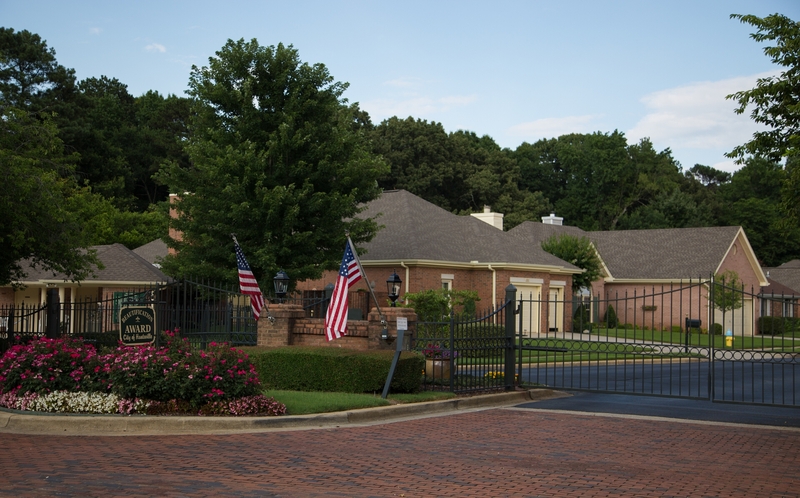 Continue down Edgewater Drive and you will find the gated community of Morland Shores. 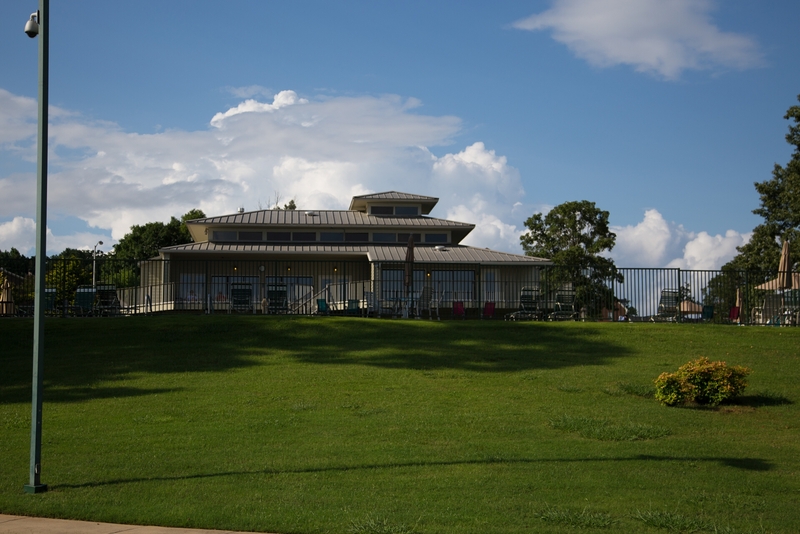 It is located at the end of Edgewater Drive with beautifully maintained patio homes. 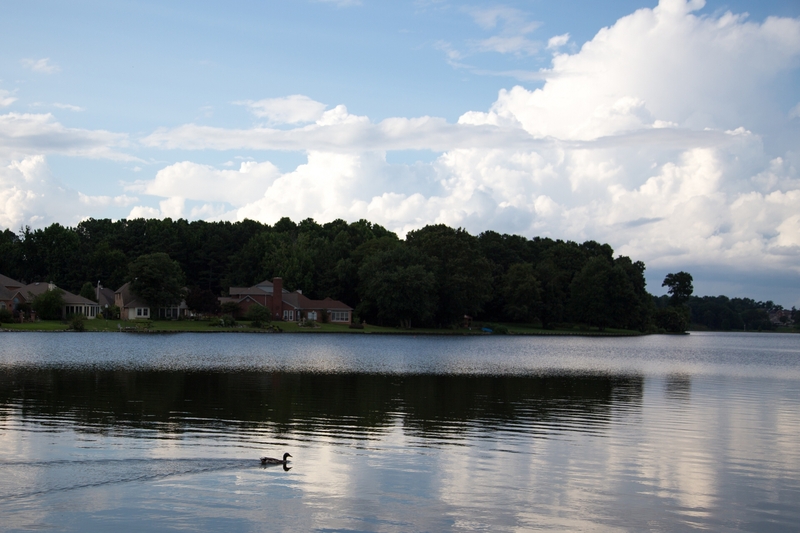 Many of the homes are on the banks of Lady Ann Lake. 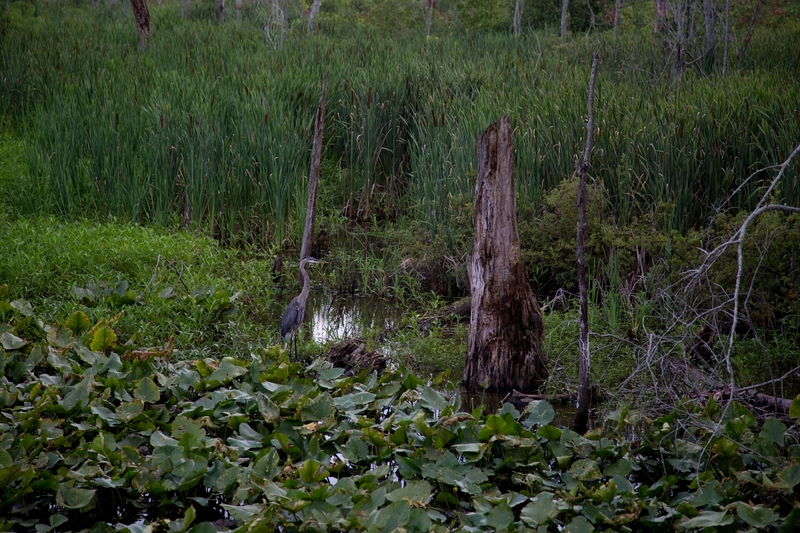 The residents of Morland Shores can enjoy the wildlife found in the protected Wetlands. 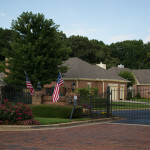 You know you have arrived when you pull into this beautiful gated community when you see “Old Glory” waving Welcome Home! Continuing on down beautiful Edgewater Drive and turn off Spinnaker Ridge and you will notice this community offers three entrances. Fox Bend, which consist of two main developments was started in the early 1990’s. 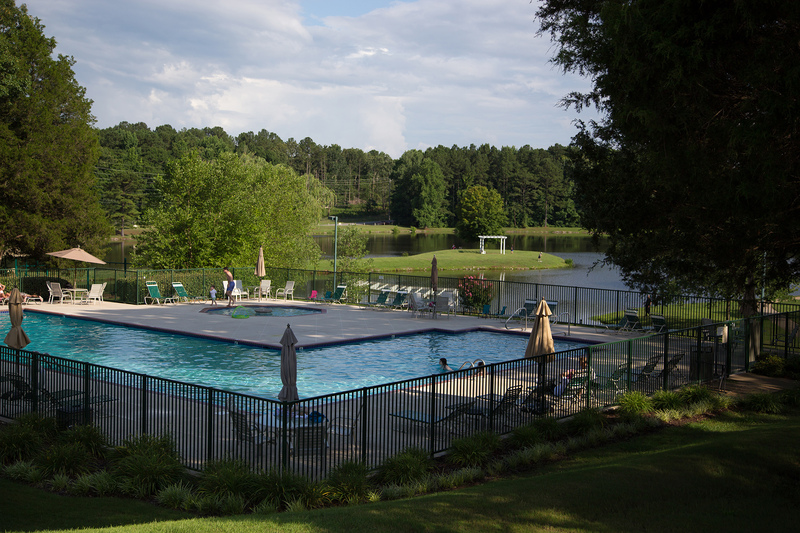 These two communities offer mature trees, and homes with a minimum of 1800 sq. feet and larger. You will find both single and two story homes and, like other neighborhoods in this charming community, people enjoying the walking trails or riding their bikes. Turning onto Spinnaker Ridge, you will notice both single and two story traditional style homes. This is one of Edgewater’s smaller neighborhoods, and it winds up the opposite side of the hills as Heritage Woods. Continue on around the winding Spinner Ridge and you will notice another charming community called Compass Pointe, one of the newer subdivisions in Edgewater. 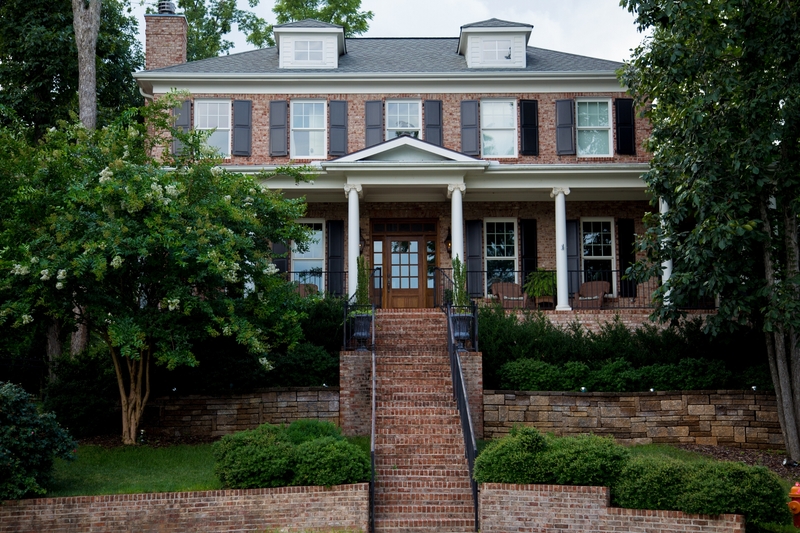 This neighborhood has 82 single family homes in a friendly, close-knit community. 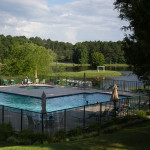 Compass Pointe residents are a nice mix of young families, middle aged professionals and retirees. Just as all the friendly neighborhoods, you will see winding streets with sidewalks and bikers and walkers early in the morning and evening enjoying the beautiful nature that this community has to offer. 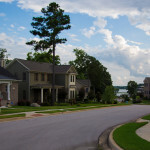 Lost Tree Pointe was developed between 1988 and 1990 with 47 single-family homes, several of which front on Lady Ann Lake. Homes range from 2800 – 4500 square feet, typically 4-5 bedrooms, most set on large 0.5 acre lots. 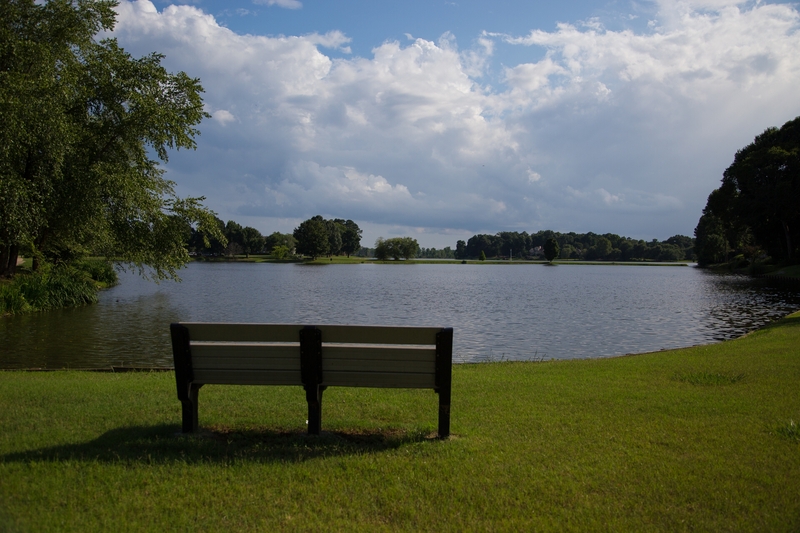 Lost Tree Pointe has beautiful mature trees and as you drive around you will notice this is a popular walking area. In Dunhill Subdivision you will see winding streets and cul de sacs with homes that still boast small community charm at it’s finest and you’ll see that this community takes pride in it’s well manicured lawns in the heart of Edgewater. 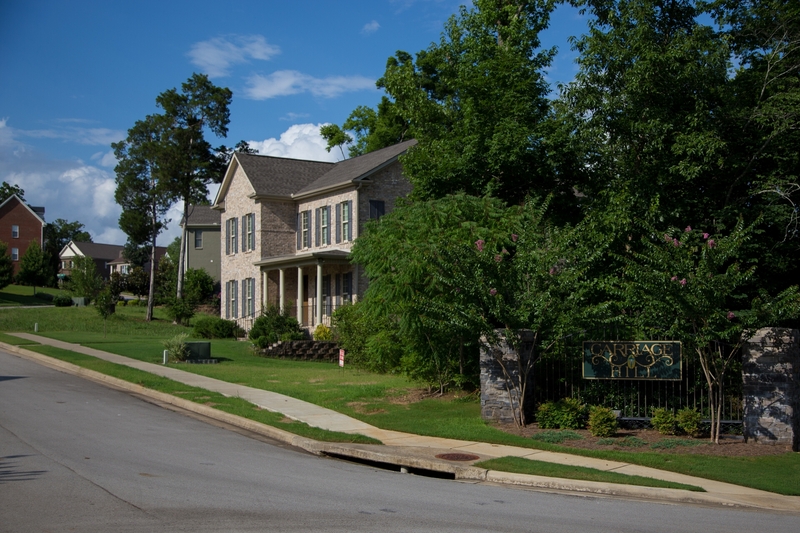 As we wind up our road trip down Edgewater Drive you will notice the last subdivision in the charming community, Remington Place. You will find a mixture of garden homes as well as both single and two story homes, again with well manicured lawns. As in many of these fine communities, you will see many bird feeders where the residents offer food and refuge among the mature trees for our feathered friends. I hope you enjoyed your tour of this beautiful and cozy community, where life is simple and relaxed, and the homes are elegant and offer all the amenities any homeowner would love to call “Home”. 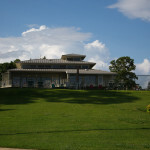 Below are some of the available houses in the Edgewater Community. If you’d like help exploring the neighborhoods of Edgewater, or have any real estate questions, feel free to contact me.